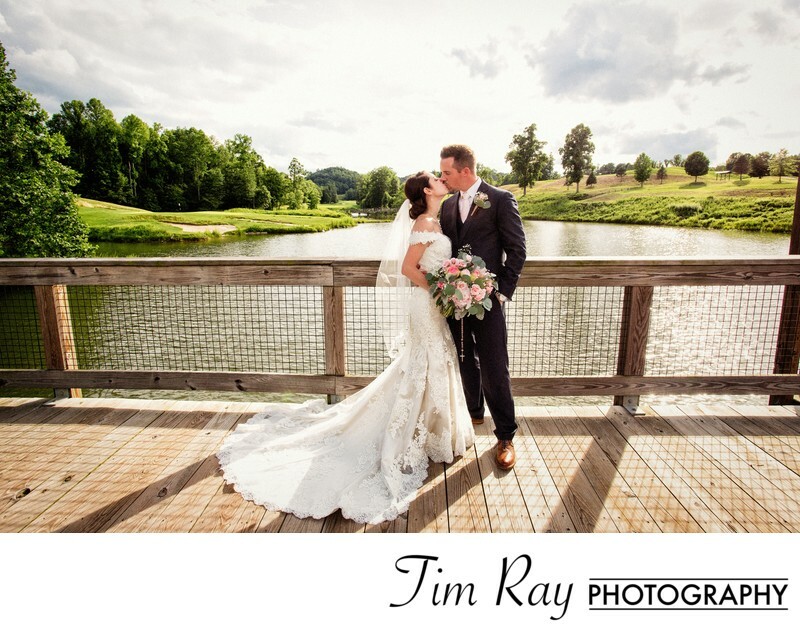 This romantic wedding photograph of the bride & groom was created on the walking bridge on a warm July evening at Stonewall Resort in Roanoke, WV. Stonewall Resort is one of my favorite venues for weddings. The landscaping is immaculate and there are so many great locations for beautiful photographs.